These mirrors are perfect for helping kids start their day in a positive way, & offer them a reminder of the unique & wonderful qualities they have to offer the world. 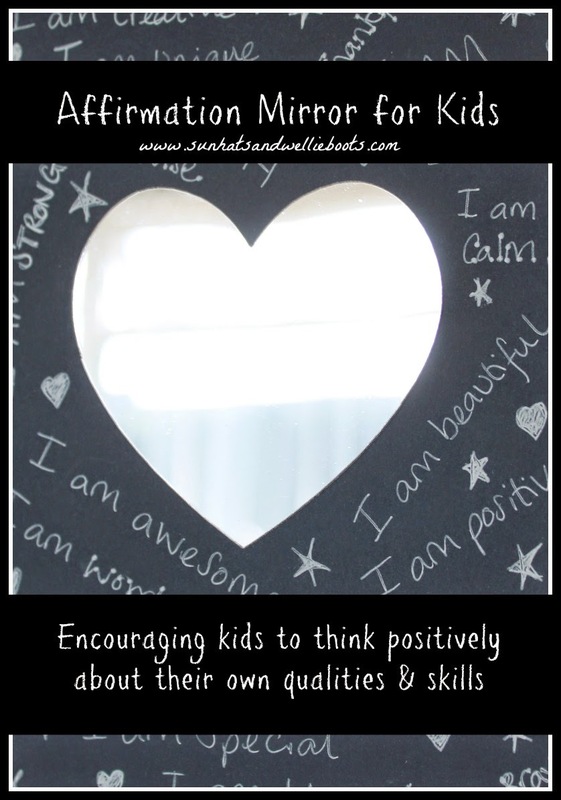 Do you have kids who struggle with their confidence, or self-worth? So often I hear kids say: "I'm not as good as them" or "I know I can't do it" & these negative thoughts knock their confidence. What better way then to start the day than by looking in the mirror & saying something positive about yourself! To make our Affirmation Mirrors we used a sheet of A5 card, small mirrors (ours came from Baker Ross) & a pen / pencil. 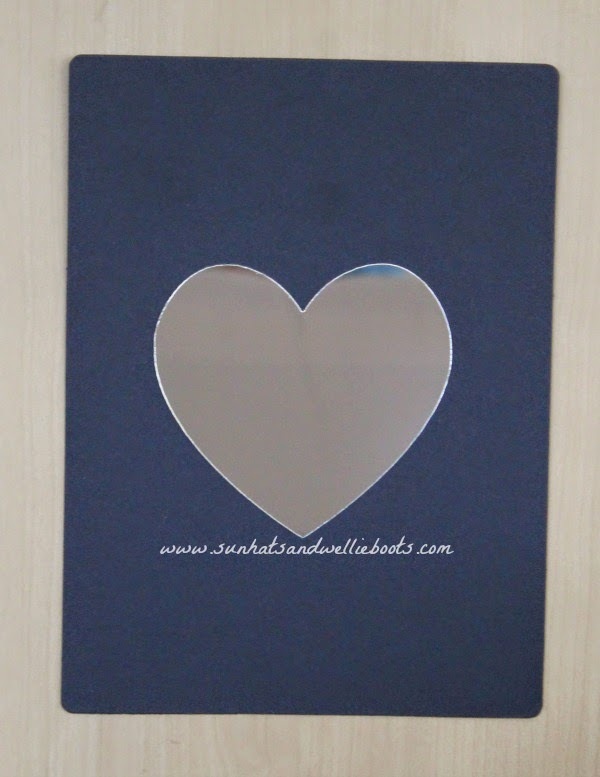 We chose dark card & white pens which really helped the words stand out, but you could choose any colour/size of card to make your special mirror. We started by sticking the mirror to the middle of the card. We placed it in the centre so we could fill the remaining card with our written affirmations, the idea being that when we saw our reflection we would be surrounded by our positive qualities. 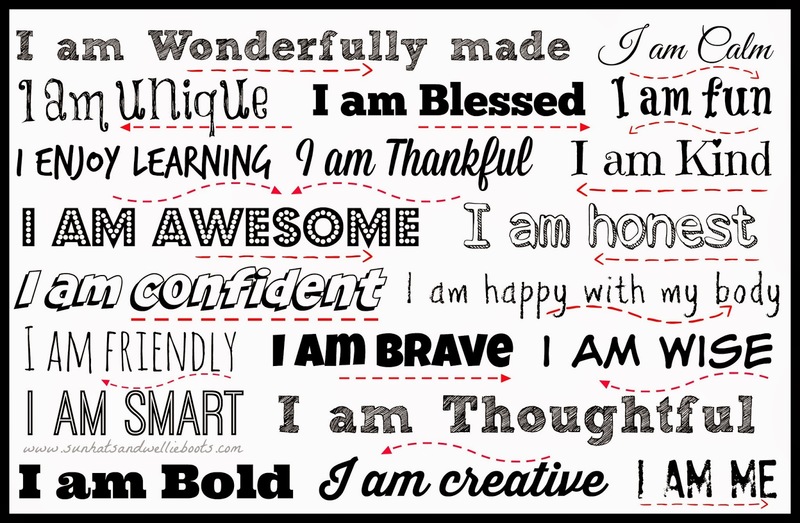 To help children think about their own qualities & skills you might like to print off our affirmation sheet. I recently made these mirrors with a group of 5-7 year olds & this affirmation sheet was a great starting point & soon inspired many more positive statements. I encouraged the children to cover as much of the card as possible with their positive thoughts. If you have children who find this hard they could add drawings, or hearts/stars/smiley faces to fill any gaps. Once they have finished they can either add sticky pads to the back or add a ribbon to hang their mirror up. You might like to suggest they look in the mirror first thing in the morning or last thing at night & read out loud all the affirmations they have added, or they could choose just three to read every day. The important thing is that they see their own reflection as they say each affirmation. 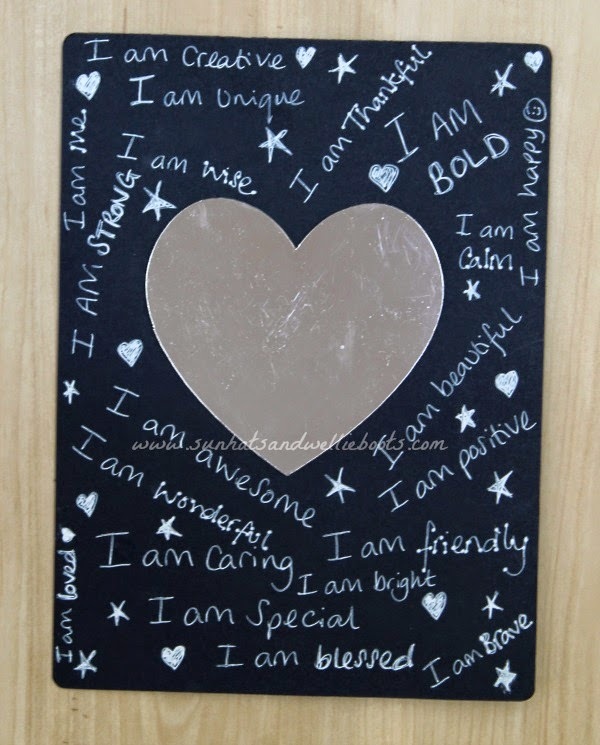 And if they don't read the affirmations every day just having this mirror hanging in their room will act as a reminder of their qualities & unique gifts. 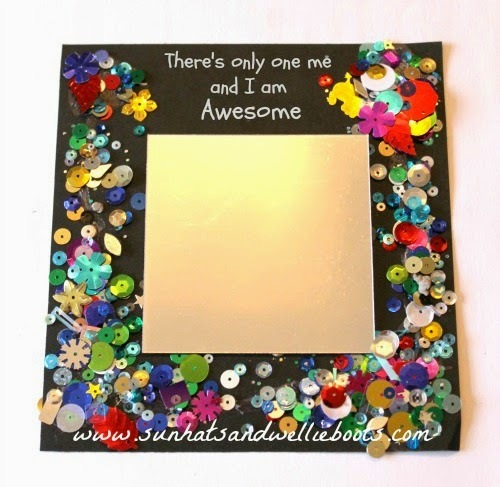 If you have preschoolers you might like these Affirmation Mirrors that I made with a group of younger children. Instead of using lots of different affirmations we filled the border around the mirror with colourful sequins, reminding us of the colour & sparkle we each bring to the world! "There's only one me and I am Awesome!" If you're looking for more activities which help to encourage self-esteem you might like our: Pocket Affirmation Stones, Mind Jar, Calming Spray, Worry Monster.